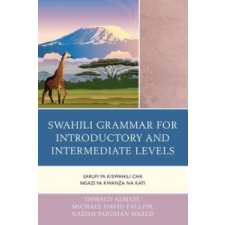 Van véleményed a Swahili Grammar for Introductory and Intermediate Levels – Oswald Almasi,Michael David Fallon,Nazish Pardhan Wared termékről? Értékeld! Tedd fel kérdésed a(z) Swahili Grammar for Introductory and Intermediate Levels – Oswald Almasi,Michael David Fallon,Nazish Pardhan Wared termékről!